Different prices, different neighborhoods and different types of houses; basically it’s a jungle out there when you start searching for great rentals in Amsterdam. Even though you’re busy, freeing up a couple of weeks in your calendar to focus on getting your perfect apartment is worth it. Make sure you know exactly what’s essential to you, to call a place your home, and make sure your budget fits. We all get excited when we think about having a nice garden, a canal view and a big modern kitchen. But great rentals in Amsterdam that meet all of those requirements aren’t cheap. And if the word “budget” plays a role in your life, it is just not going to happen. So start compromising. Write down the things you just can’t live without. Now that you have your list, you can start looking at the financial implications of your choices and see if any changes will have a positive impact on your budget. To give you an example: if your neighborhood of choice is expensive, and because of that you’ve taken it off your list, but it’s close to your workplace, you might save money on public transport. By taking your bike to work instead, the money you save could come close to the additional rent. If you do this research right, you might be able to get some nice to haves back on the list. Do this research up front and thoroughly. Once you know all the implications, you will know exactly what you can look for, in which neighborhoods and you will have the right budget to get it. Put your social life on hold for a while. Forget drinks with friends, you probably won’t even have time to feed the cat (please do though), the only thing on your to do list should be finding a house. Stick to the list with neighborhoods that fit your budget and requirements. Don’t get distracted by things offered by friends in areas you aren’t interested in or in price ranges you can’t afford. Don’t pay attention to the perfect properties that look amazing on the pictures, but that are out of your reach. Stay focused, check all relevant sources as often as you can, apply for as many viewings as you can, and make sure you attend them. Yes, this seems like a full time job, boring homework, and almost like punishment. But if you are dedicated and focused, it will work, and you will find those great rentals in Amsterdam. 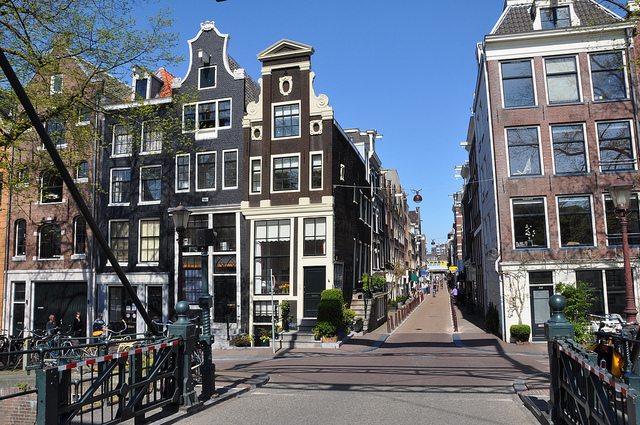 Finding a great rental in Amsterdam is tough, and it isn’t cheap either. But every now and again an awesome place comes along, everything is just right, and it can actually be yours. In that case, just say yes. Don’t freak out at the last second, because you don’t have any money left to decorate it, or something expensive you own just broke and needs replacement. Trust your instincts ,tell them you want it, show them you’re serious and ask what the process is to get the house. If you have documents on you during the viewing, even better. But seriously though, we know lots of people that let a perfect apartment go because they didn’t like the color of a wall or the type of stove in the kitchen. They ended up getting worse apartments many months later, when they finally understood that you just can’t have it all. To be honest it drove us crazy to see those great rentals slip through our fingers because we were too late responding to the listings. That’s why we started RentSlam. Our service sends you an email immediately every time a house shows up that fits your criteria. We only work with reliable websites, so you don’t have to worry about scams. And it saves you lots of time, because you no longer have to manually check all your sources ten times a day.